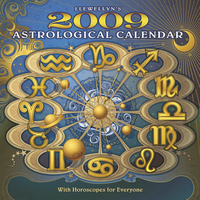 Kick off the year with the best-known, most trusted astrological calendar! Whether you're an astrology pro or a beginner, you'll find everything you need to plan the year wisely. This calendar features original artwork, horoscopes, a detailed primer for beginners, a lunar planting guide, travel forecasts, Moon phases, and more vital astrological data to keep you in the cosmic loop.